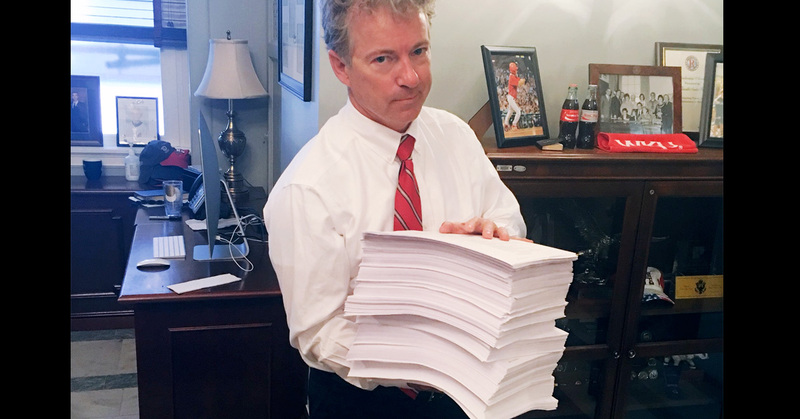 Congress has less than 48 hours to read and vote on the 2,232 page, $1.3 trillion budget bill. Add your name now to send an immediate message to Congress demanding they actually read the bill before they vote on it. You should really see this: https://act.represent.us/sign/read-the-bill?source=taf . RepresentUs has a smart plan to fix our broken political system. Check it out. The bill was drafted in secret by a small group of Congressional leaders, and most members didn’t even see the bill until it was released to the public last night. Our representatives should not be voting on something if they don’t know what’s in it – and the American people deserve to know what’s in the bill too, before it becomes law. It’s irresponsible for our elected officials to vote on a bill as large and consequential as this without knowing what’s in it. Add your name now to send a message to Congress to demand that they read the bill before they vote. I am writing to urge you to read the 2,232 page budget bill before you vote on it. It is wholly irresponsible for anyone to vote on this bill without knowing what’s in it. This is not how our government is supposed to work.